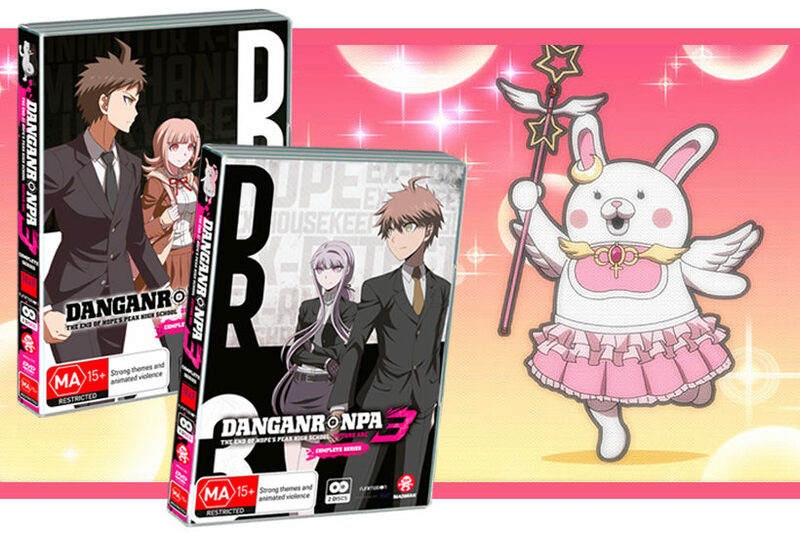 Danganronpa 3 The End of Hope’s Peak High School is comprised of two DVDs, the Future Arc & Despair Arc, that together make up the entirety of DanganRonpa 3. The two arcs are set in different time periods, and at the time Danganronpa 3 was being aired episodes from each arc were released alternating weeks. This means that both DVDs are a packaged deal and committing to one arc is essentially impossible, as the finale of Future is featured in the Despair collection, which is a prequel to the events in the first Danganronpa. 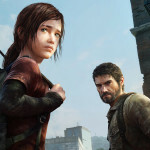 For that reason, I’ve featured both halves of the season into a single review. It’s also worth mentioning to newcomers of the series that while there is a season 1 and 3 of Danganronpa, there is no season 2. 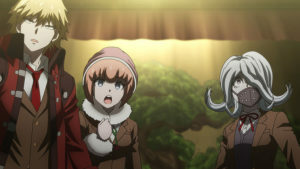 Since the series is based on a game, if you’re looking for answers to the events mentioned in the show, you’ll have to go find a copy of Danganronpa 2: Goodbye Despair, watch a playthrough online, or read summaries. That being said, let’s get into the review proper with a little introduction to each arc. Makoto Naegi travels to the Future Foundation where he is arrested for treason under the suspicion of shielding the Remnants of Despair. 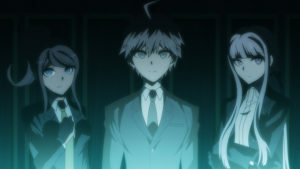 While deciding Naegi’s punishment, the members of the Future Foundation are captured by Monokuma and trapped inside their building, forced into a death game where the goal is to kill the traitor among them. 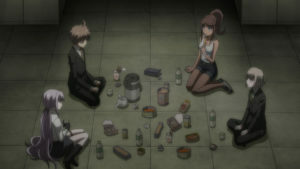 Although Naegi and his friends Kirigiri and Asahina have already survived one killing game, the additional rules established in this death game will make surviving once more a near impossible feat. Before it was turned into the location of one of Junko’s killing games, Hope’s Peak High School was a private academy that nurtured people with exceptional and oddly specific talents. Chisa Yukizome takes up the role of homeroom teacher for Hope Peak’s 77th class of super high school students, forging a bond with the kids in her class. While the school is known for its main course comprising of the ultimate students, there is also a reserve course available for students ‘without talent’, and they can also attend Hope’s Peak as long as they pay the inordinate school fees. 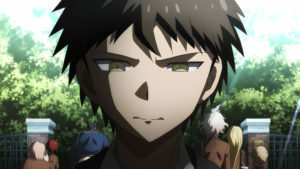 Hajime Hinata is a student in the reserve course, but would give anything to join the ultimate students and possess his own talent. What follows is a series of decisions that will plunge the school and its students into hopeless despair. If I had to give a brief description of each arc, it would be that Future is fun despite a miserable concept, similar to the first Danganronpa series. 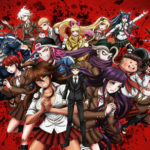 In comparison, Despair is light-hearted in its first half, and downright miserable after the halfway point, as it illustrates the events that took place to facilitate the creation of ultimate despair. 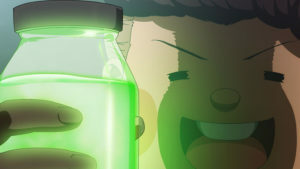 Danganronpa and shows like it works when there is a balance between tragedy and entertainment, otherwise they are just exercises in depicting misery. For me, those kinds of shows get exhausting very quickly which is why the latter half of Despair became difficult to keep watching. Future has episodes where it feels like characters are trying to survive, Despair has episodes where it feels like the only point is to show suffering. It’s hard to fault the series because the title names of the arcs reflect this, but it does highlight the importance of watching these episodes the way they were originally aired, alternating between the two arcs. Sticking to one arc in its entirety rather than switching between them not only harms the narrative flow of the show and the reveal of information, but highlights the disparity in tone between each arc. I mean, there’s no denying death and suffering is a huge part of the Danganronpa series in general, but there is a difference between how these themes are depicted between each arc. Despair also contains a lot of awkward sexual components, including but not limited to a room of students ingesting an aphrodisiac without knowing, and a student losing her mind to despair and becoming unusually lustful. Just another day in the world of anime I suppose. Danganronpa is at its best when it tells stories about bizarre people trapped in situations that they are desperately trying to survive. The Future arc of Danganronpa 3 improves upon this concept by adding some twists to its death game. One of these things is the forbidden actions assigned to the imprisoned Naegi, Asahina, Kirigiri, and the Future Foundation members. Each person learns their forbidden action from a bracelet on their wrist, and if the action is performed they die from a lethal dose of poison. For example, Naegi’s forbidden action is that he can’t run in the hallways. This makes it difficult for him to escape violent situations and he generally has to be carried by others to escape danger. 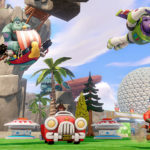 It’s a fun and creative way of boosting tension for any scene he’s in, and as more and more characters have their forbidden actions revealed things get more complicated. The forbidden actions are a welcome addition to the death game, adding an extra element of surprise and speculation. It also leads to some really clever moments that I won’t spoil, as most characters keep their forbidden actions secret and the reveal of what exactly they are and how they inhibit the characters is always fun. 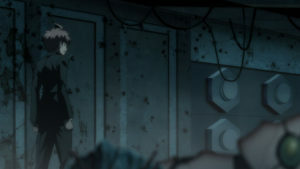 In comparison, Despair acts more as a supplementary text that reveals background information on Future Foundation characters and their relationships in Future. They aren’t the only ones of course, as the cast is also comprised of the 77th class of super high school students. But the Future Foundation members were honestly the ones with the most interesting roles to play in the prequel arc and given that their stories played out the fastest across both timelines their narratives were much more satisfying. It is difficult to criticise anime like Danganronpa because its over-the-top and outlandish nature is a staple aspect of how many anime package and present themselves. In my experience, the trap that most anime falls into is that they have great premises, but a degradation of concept and delivery. For better or for worse, anime tackles concepts that are not always explored across other forms of media – stories with elements that may be regarded as too silly, brutal, or raunchy. Despite this, plenty of anime with outlandish and interesting concepts ultimately fail because they take their concepts a little too far. Danganronpa the Animation and Danganronpa 3 are fun and compelling stories when they are contained or when characters are solving murders, puzzles, or just trying to stay alive. But then the stories go global, focusing on the despair apocalypse that is overtaking the world, and what was once a contained, personal story is undercut by an apocalyptic scenario where cute robot bears are destroying the world. Escalation of concept is a core element of anime, but it has positive and negative aspects. 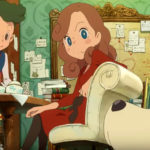 On the one hand, it allows for the exploration of the unexplored, concepts that may be seen as too outlandish by other forms of media are given their due in animated form. On the other hand, there’s nothing worse than enjoying an anime for its strong concept and personal narrative, only for that narrative to escelate into something beyond recognition and enjoyment. If you liked the first Danganronpa then you’ll enjoy Future. It’s very possible you will also enjoy Despair, as it is just as chock full of bizarre and interesting characters as the rest of the series. But if, like me, your threshold for pure misery is pretty limited and you enjoy the series for its murder mystery survival aspect, maybe skip this one and go back and enjoy Danganronpa the Animation.